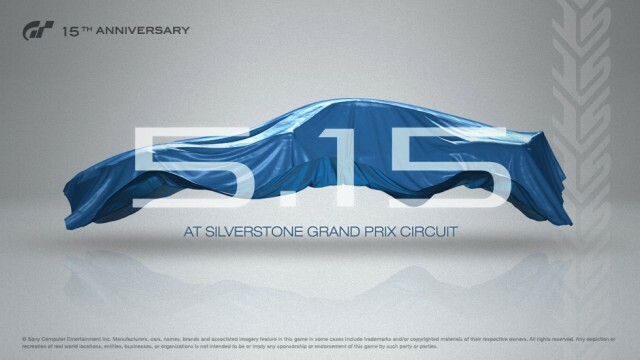 As spotted by NeoGAF user -BLITZ-, Sony has been promoting a May 15th event with Polyphony Digital at Silverstone Circuit in Towcester, Northamptonshire to celebrate the 15th anniversary of the Gran Turismo franchise. As part of this event, Sony is teasing that some “exciting announcements” will be made about the future of the GT series. Oh my, what unannounced game could Sony possibly be talking about??? Guess it’s official, we have a full blown mystery on our hands! To help further spell out exactly what Polyphony Digital has in store for us, Sony also released a teaser trailer for the event (embedded below) which concludes with the Gran Turismo logo flashing from 1 up to 5, before finally changing to read “Gran Turismo _”. Naturally, this has led to very well founded speculation that Gran Turismo 6 is on the verge of finally being announced. Polyphony Digital’s (technically unannounced) Gran Turismo 6 was first casually mentioned by Sony Worldwide Studios’ senior vice-president, Michael Deeny, last February as being an upcoming PlayStation 3 title. Ever since then we have had several other non-official confirmations that the game is in development, including some very believable online retailer listings. Interestingly, every single rumor or bit of speculation about Gran Turismo 6 has indicated that the game will be a PlayStation 3 exclusive, despite the fact that the PlayStation 4 is expected to be released before the year is out. With Sony and Polyphony Digital’s May 15th Gran Turismo event closing in fast, we will hopefully get some official information on Gran Turismo 6. Check out the teaser trailer below, and let us know your thoughts on the possibility of GT6 being exclusive to the PS3. Is this a smart move by Sony, or are they potentially passing up a good way to promote the PS4?